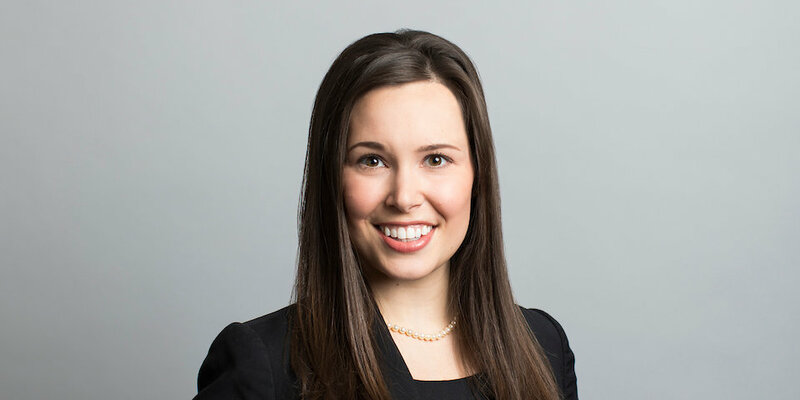 Kate Geyer Johnson is an associate in the Firm’s Litigation Department. Ms. Geyer Johnson received her bachelor’s degree from the University of Nebraska-Lincoln in 2011 with high distinction in history and medieval and renaissance studies and minors in political science and art history. Kate was a member of the Phi Beta Kappa and Order of Omega honors societies, and named History Scholar of the Year. Ms. Geyer Johnson received her law degree from the University of Nebraska Law School in 2014 with distinction. While at law school, she was elected vice president of the Moot Court Board. She was also selected as a teaching assistant for legal research and writing. Prior to joining Lamson Dugan and Murray, Kate served as a judicial clerk to the Nebraska Supreme Court Justice Michael McCormack. Ms. Geyer Johnson currently works at the appellate level in state & federal courts. She represents and advises health care providers, professional firms, railroads, and various businesses in a broad spectrum of legal matters. These legal matters include insurance defense law, tort litigation, contractual and business disputes, and railroad defense litigation. While not working, Kate enjoys traveling, hiking and spending time with her husband and son. Ms. Geyer Johnson received her law degree from the University of Nebraska College of Law with distinction and her undergraduate degree from the University of Nebraska-Lincoln with high distinction. Ms. Geyer Johnson is admitted to practice in the Nebraska State, Nebraska Federal and Iowa State courts.